Mines up as well at AussiePomm (Spring Walk). 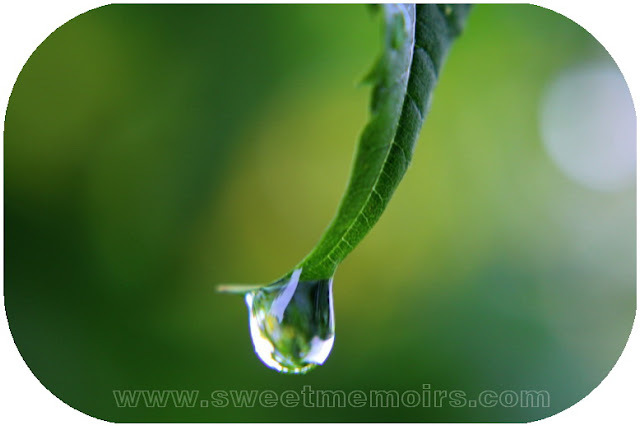 I always try to look for myself in the droplet. lovely, I always wanted but never succeeded in a photo like yours. I'm actively seeking new photography blogs to follow. I'm a new follower! A perfect capture! I like the quote, too. Oooh, I love that photo and the quotation is perfect. wow, very good capture Che, the brilliance of dewel. what an amazing shot. great macro. great capture. Lovely macro, and great reflections... The composition is stunning : well done !